Local musicians, artisans, community members and visitors come together to experience and celebrate mountain music, craft and dance in the making. 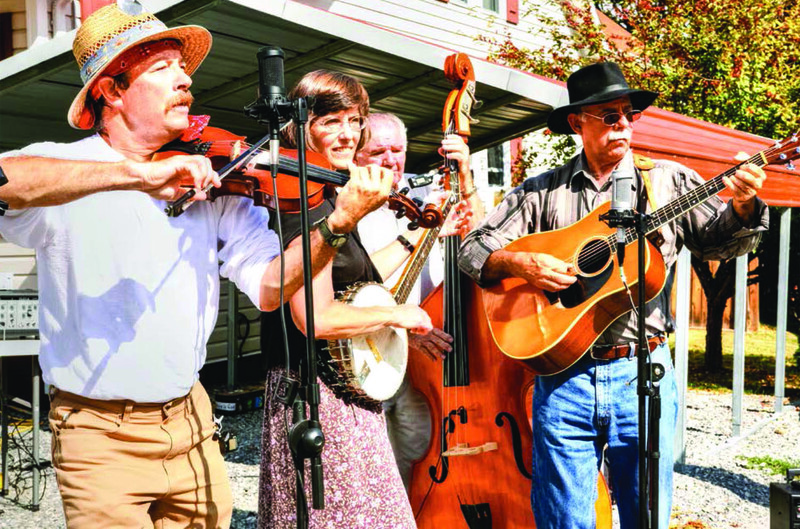 Friday night features Mountain Music Trail musicians kicking off the evening program at 7:30pm. Friday’s lineup includes: The River Drivers, Rebecca Wudarski, The Elk River Ramblers, and Born Old. Saturday afternoon activities begin at 1 p.m. with the Mountain Music Trail Fiddle & Banjo Contest, as well as make-and-take crafting opportunities, craft demonstrations, children’s games, an open old-time music jam, fiddle and banjo contests, cornbread contest, and more. Kettle corn and homemade ice cream will be available throughout the day followed by a cornbread and soup bean dinner at 5:30 p.m. On Saturday evening, beginner square dance lessons start at 6:30 p.m. with a traditional square dance to close the weekend’s festivities at 7 p.m.